Arguably one of our best trip. Today’s popular destinations amongst surf charters, you’ve guessed it, the Mentawai islands. Meanwhile, a handful of boats cruise to the less explored regions of Eastern Indonesia. This time, instead of starting the trip in Padang, Sumatra. 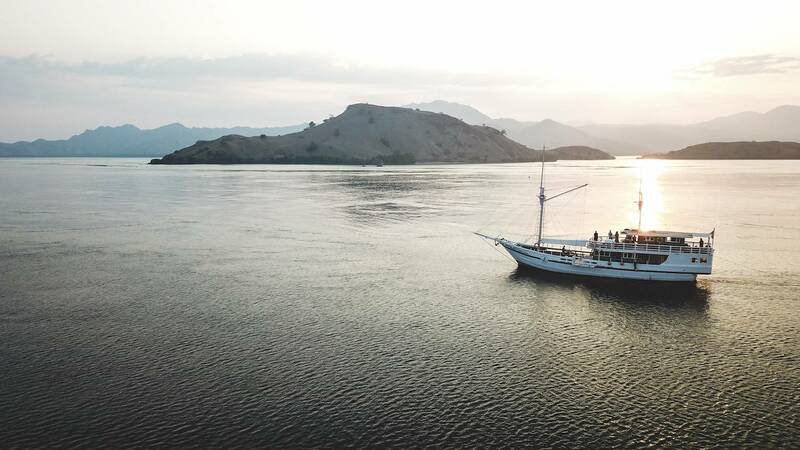 We started at the harbour of Labuan Bajo, in Flores – who knew there were waves to share with Komodo dragons? Well, there were no waves in Flores. 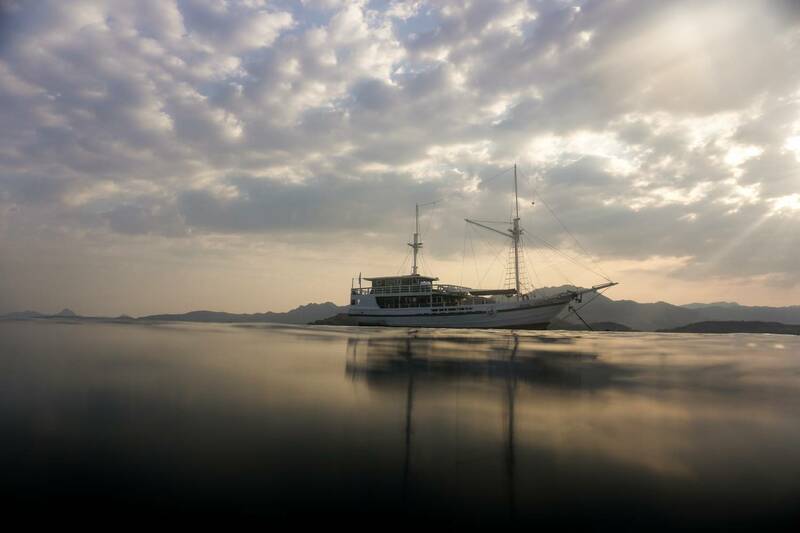 But, we saw the Komodo dragons and the most picturesque islands while cruising away from Flores. 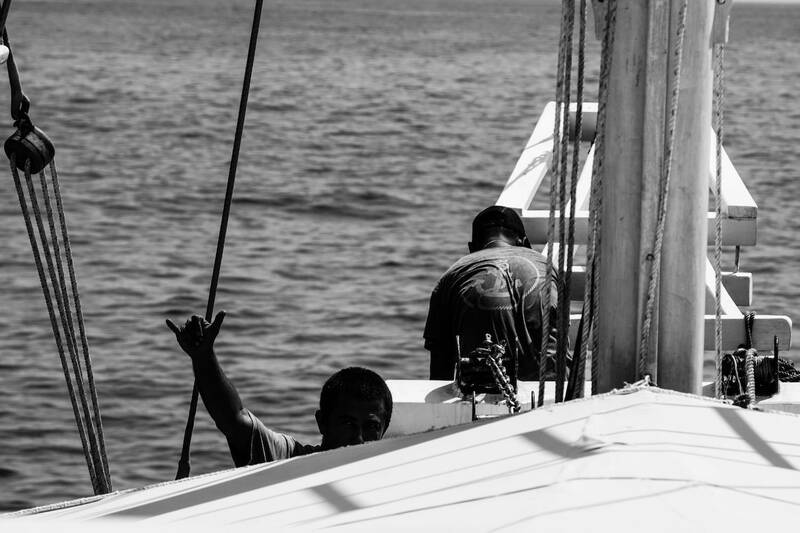 There was no swell either, which made it a perfect timing to meet up with the closest ancestors to the dinosaurs, swim with Mantas, and just cruise with our new crew around the Sunda islands. This boat trip was a “test” for the Royal Fortuna Cruise. We didn’t have fixed plan. The new boat owner, Rob and his fantastic crew were keen on exploring the area further. So did we! The island of Sumbawa is best known for Lakey Peak. But, we know our way around the Western Part where few world-class waves are located. Sumbawa is a big island with still many secrets. During the high season, It lacks of road access and is overlooked by surf charters because the trade winds can be strong. We had no idea what to expect. Usually, this is when the best surf trips happen. Not having expectations, just trusting in our waterman instincts and the ocean. All we knew was that there were waves to be found! Rob, the boat owner and our boat captain have been surprisingly good at finding waves. They made stops in places that nobody would have thought of stopping. From far, it looked like a shallow reef break closing out. From close, it was a fun wave breaking in pristine clear water. It had us waking up in the morning to a perfect left-hander. But then, we walked to the other side of the boat and spotted a pumping right-hander. Tough choice to start the day, so we spent another day in this bay. Rob’s intuition paid off a number of times but the highlight of our trip was one of the first places we stopped at, that Rob found on Google earth. It had us waking up in the morning to a perfect left-hander. But then, we walked to the other side of the boat and spotted a pumping right-hander. Tough choice to start the day, so we spent another day in this bay. The rest of the trip was pure exploration. We made a quick stop at Lakey Peak to remember what it was like to surf a crowded spot and just kept cruising. Then, we surfed just by ourselves while on our way to Lombok. 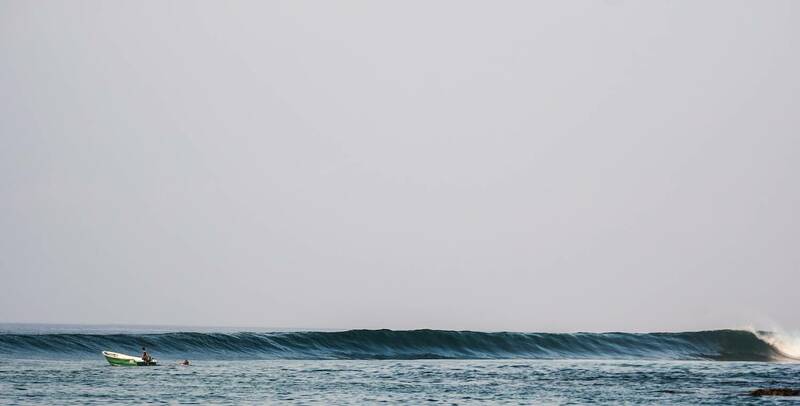 The RFC Surf Charter also plans cruises to Sumba next year and you can contact us below if you are interested. It is a fully refurbished boat that offers plenty of space for groups, couples and friends. The crew was outstanding and our chef had us frothing all over the delicious food. 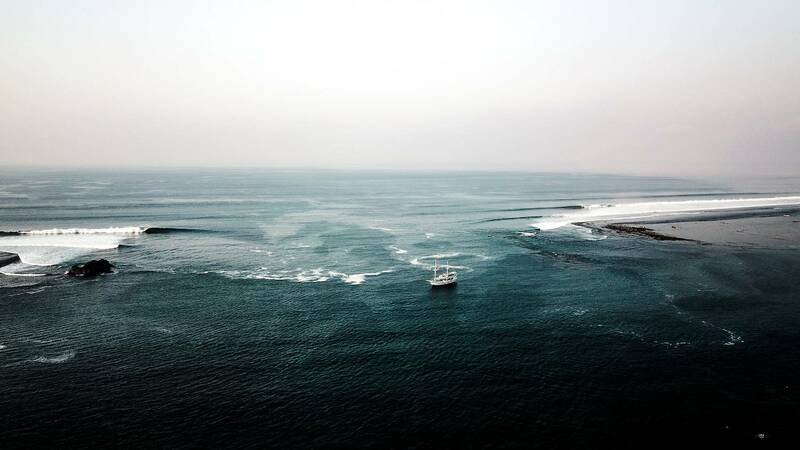 Which Surf Charter Itinerary are you interested in?pick one! No of personshow many of you?